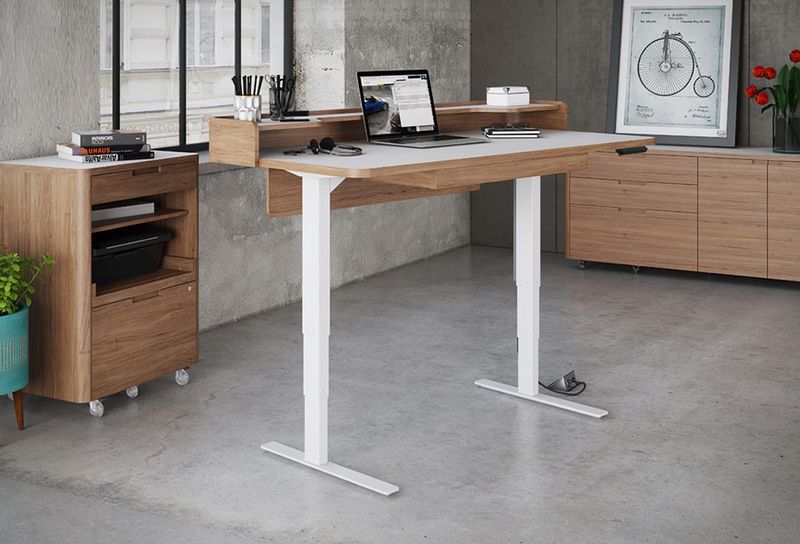 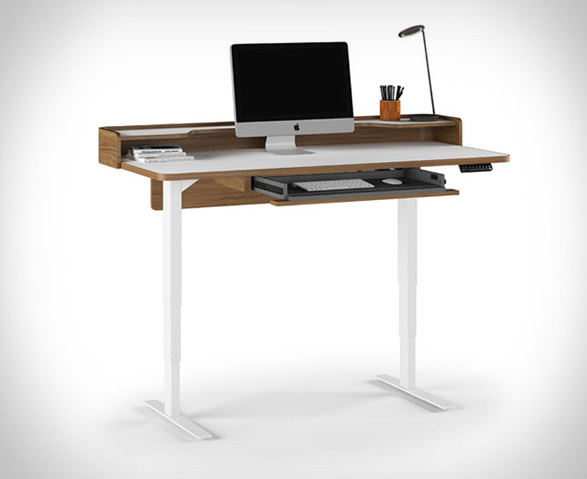 The Kronos Lift Desk is an electronically adjustable sit/stand desk that features a unique mezzanine shelf to help keep your workspace organized and clutter-free. 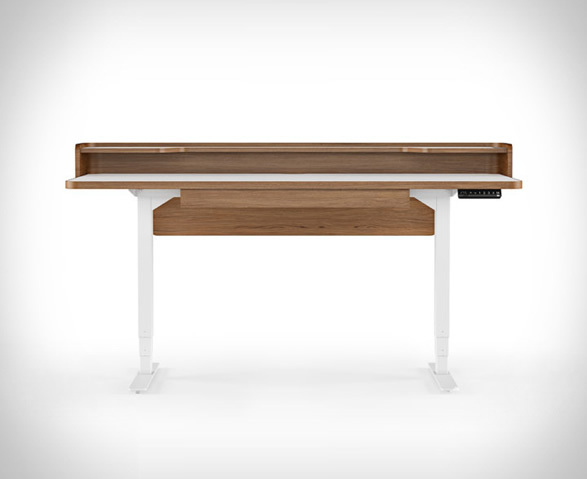 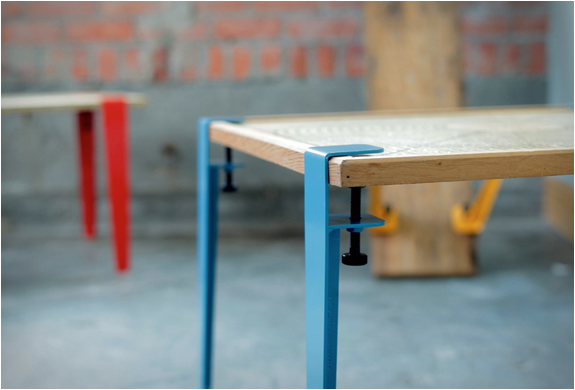 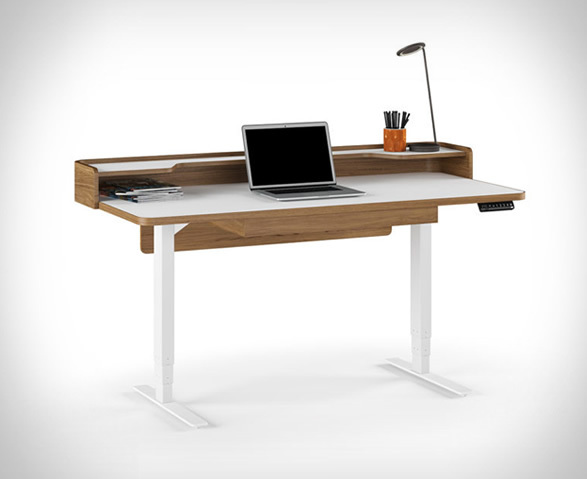 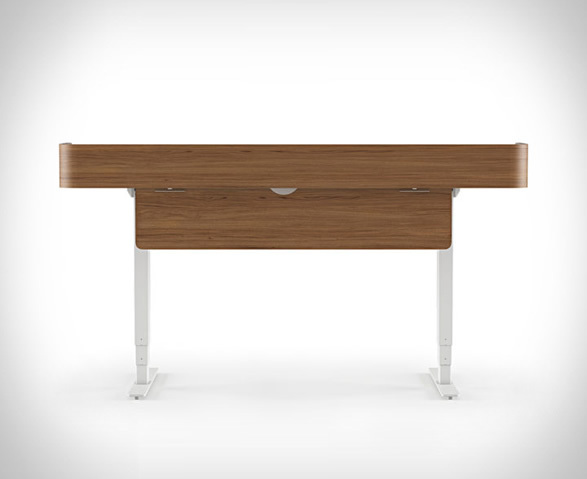 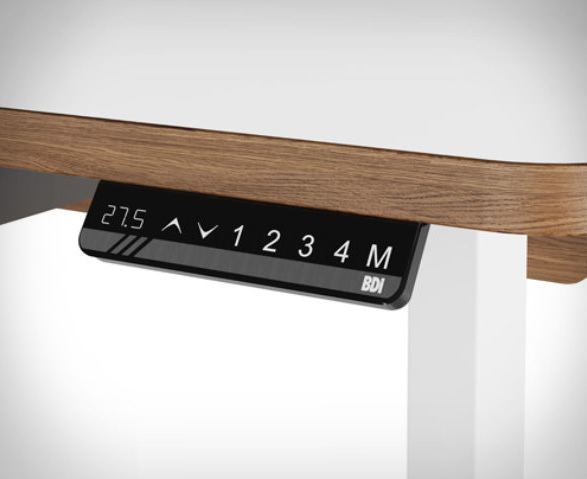 The beautifully designed desk features ultra smooth work surfaces, accented with natural walnut veneers. 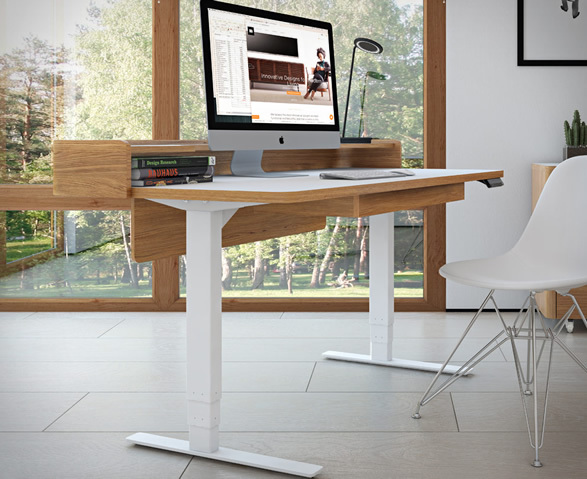 It also includes a digital keypad that can be installed on the left or right of the desk and can be programmed with four user-defined settings ideal for a shared work space. 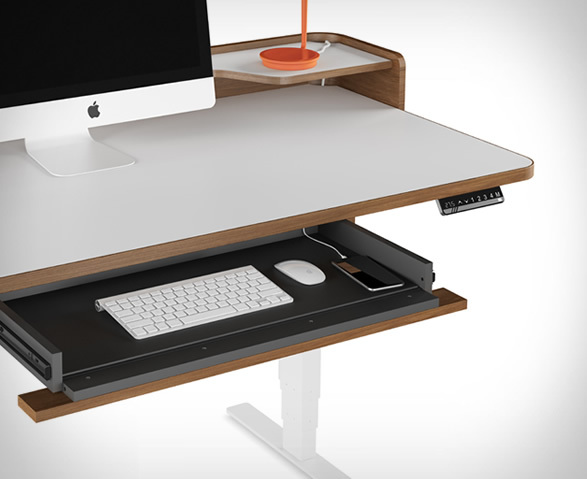 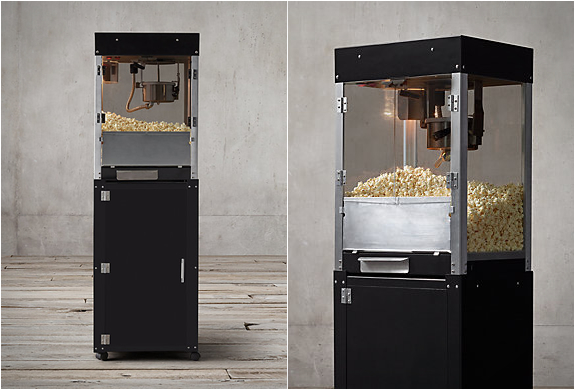 Other details include a flip-down keyboard and storage drawer that is lined to keep contents secure, a panel that keeps wiring concealed, and a mezzanine tier that includes cutouts to keep wiring organized, and provides an additional work and storage surface.